Forest and Nature Education: Use a backpack full of basic tools and equipment, your skills as an educator and the natural world around you to engage, stretch and support the learning and mental wellness of all of your students. 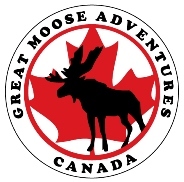 Base Camps & Year Round Outdoor Learning: Learn how to set up a year round forest base camp and explore fun, simple and engaging activities to allow children to create meaningful connections with the natural world around them. Taking the Curriculum Outdoors: Find out how you can take almost any curriculum topic outside. 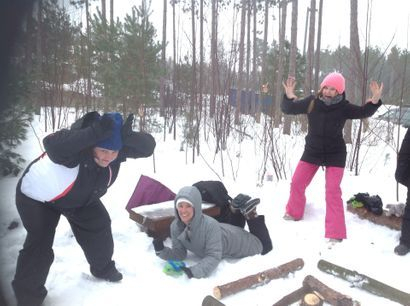 Have fun and engage students in outdoor math, language, art, drama & science. Children's Yoga: Learn how to combine movement, balance, and breathing techniques to explore animals, plants, different cultures, literature, music, art and so much more. Explode a Story: How to use stories as spring boards for outdoor inquiry, physical activity and creative play for all ages. Mud, Mud, Mud! : Play, learn from and enjoy mud with your class including links to classroom learning and outdoor curriculum studies. Winter Wonderland: Become confident taking your class outside during our long, frosty and beautiful winters. From simple activities using little or no equipment to guidance on winter gear and safety. Outdoor Toolbox for New Teachers & Supply Teachers: Are you jumping around from school to school as a supply teacher or brand new to teaching? 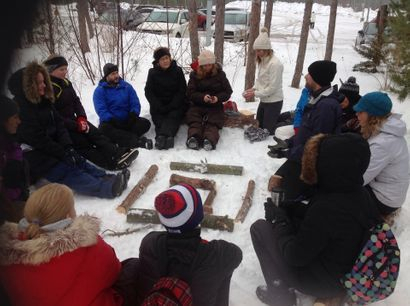 Learn some easy and effective outdoor activities you can use year round with your students. If you are looking for a focus which isn't listed above please get in touch and we would be very happy to build a program just for you! Click here for our contact page or give us a call at 705-687-3903 and one of the team will be happy to speak with you. We also provide Red Cross training programs either at our centre or in school. Click here to access our First Aid Training page.